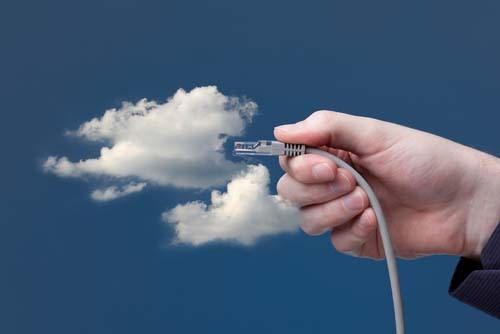 Cloud computing is now more than just a catchphrase. Today, many companies are already leveraging the cloud to save on IT costs, boost collaboration, increase disaster recovery capabilities, introduce business agility, and improve on several other areas in the business. If the idea of the cloud is still a bit cloudy to you, this article would be a good place to start clearing it all up. By now, the computing devices in your organization should consist of old and new servers, desktops, laptops, and a large number of handheld devices. Many of these handheld devices are probably owned by employees who use them to access both personal and corporate data. Running legacy applications on new hardware or running new applications on vintage hardware. Making desktops, laptops, and handhelds use similar apps for easy collaboration. Allowing users access to certain applications while on the go. Implementing security. Each device would have its own intricacies. Furthermore, employee-owned devices can also be a security nightmare as you often have very little control over them. Cloud computing can simplify all that. By virtualizing your desktops and applications, and making them available through the Internet using an application delivery and remote desktop solution, you can eliminate many of the limitations mentioned earlier. You would be able to deliver applications or even entire desktops to almost any Web-enabled device, whether a computer desktop, laptop, tablet or smartphone. You can even make them accessible to old machines, thereby extending the lifespan of those devices. Because everything would be managed from a central location, it would be much easier for your IT admins to implement security policies, perform updates and carry out other administrative functions, all of which can be done remotely. If a user’s device malfunctions, you can easily replace it with a standby unit and then stream that user’s virtualized desktop and applications into it. There would be no need to assign a technician to install the OS, install all relevant software applications and perform the necessary configurations. In effect, you would be able to greatly reduce downtime. Furthermore, the same capabilities can be easily scaled up and applied to your disaster recovery plan. With cloud computing, your organization would be able to recover much faster from a major disaster. So how does Parallels Remote Application Server fit into the picture? Well, it’s the brush that paints the picture! Parallels Remote Application Server (RAS) delivers virtual desktops and applications to all your devices. It uses RDP, Microsoft’s proven remote desktop protocol. Parallels RAS supports various client platforms such as Windows, Linux, Mac, iOS, and Android. Thinking of adopting a BYOD policy but don’t know how to manage different platforms efficiently and securely? Parallels RAS is the answer to that problem. On the server side, Parallels Remote Application Server takes charge of your hypervisors. It supports all of the top hypervisor brands including VMWare vSphere, Microsoft Hyper-V, Citrix Xenserver, and Parallel Virtuozzo Containers, among others. Don’t wait, download Parallels Remote Application Server to deliver virtual desktops and applications from a central location, providing continuous availability, resource-based load balancing and complete end-to-end network transparency for administrators.